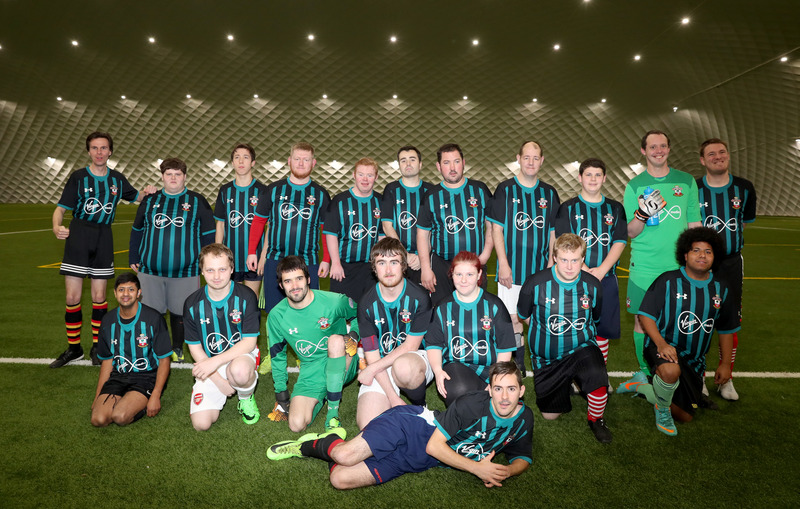 Saints Foundation, the official charity of Southampton FC, run a huge variety of programmes that meet the needs and fulfill the potential of local people. Its award-winning partnership with The Big Issue is just one example of the Foundation's far-reaching social impact across the city and surrounding area. ConnectSport spoke to Greg Baker, Head of the Saints Foundation, about their work. It was the opening Premier League match of last season when the Foundation replaced the club’s matchday programme against Swansea City with a special version of the Big Issue. It helped change negative perceptions of vulnerable adults amongst an audience outside the Big Issue’s traditional readership. But perhaps most importantly, the partnership led to four Big Issue sellers landing jobs in hospitality and stewarding at the football club. Others have had their employment prospects boosted through education and training. In November a fundraising sleep-out at the club’s St Mary’s Stadium will expand the Foundation’s support for local homeless people even further. During the summer the partnership won the Sports Innovation Award at the prestigious Sport Business Awards. It has also been shortlisted for Charity Partnership of the Year at the Third Sector Awards on September 20. Employing 60 full-time staff, the Foundation has tripled in size in the last four years and in 2017 positively impacted the lives of participants from the age of four to 102. Provision is built around the particular need of local people across six themes: employability and learning; health and wellbeing; education; Saints4All (disability and inclusion); schools and community; and football and sports development. Greg told ConnectSport: “Only about 20% of our programmes actually involve a football. Our employability, education, mentoring and health and wellbeing projects may not even mention football, they just happen to be delivered by someone wearing a Saints tracksuit. 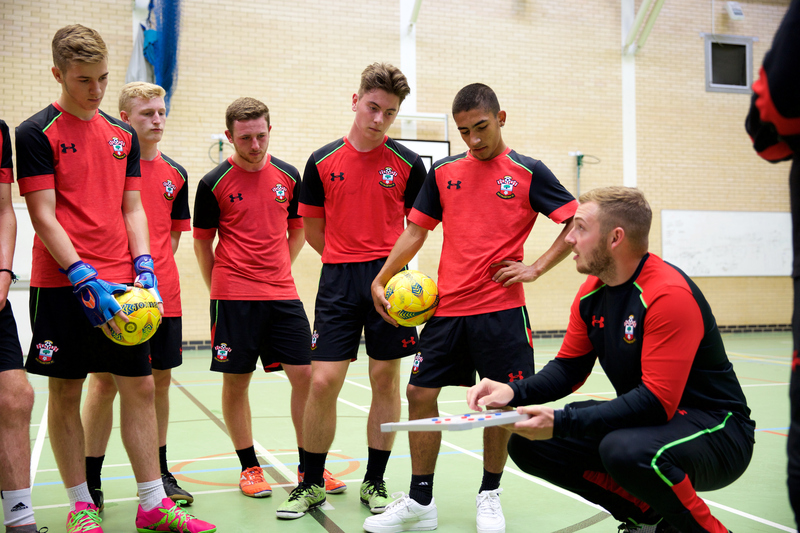 The Saints Community Champions programme places Foundation staff members in six local secondary schools, who not only deliver sporting activities in and out of school hours but also provide support to young people struggling with mainstream education. Saints4Sport is for adults who are “at their lowest ebb” – perhaps just released from prison, suffering drug or alcohol addictions or involved in criminal activity. Along with the Society of St James, the Foundation runs 15 sessions per week to give their lives a positive routine. Activities include football, golf, boxing and many more, with supplementary support with housing and clinical care. 'Generation Gains' focuses on alleviating social isolation and boosting physical wellness with older people who are referred by GPs, social services and community pharmacies. Programmes run in care homes, sheltered accommodation and community settings and involve reminiscence sessions, social chats, chair-based exercises and core strengthening to help prevent people having falls or learning how to recover from them. The Foundation also runs a suite of programmes for young people and adults with physical and cognitive impairments. Some are impairment-specific, including hearing impaired and Down’s syndrome, and there is a talent hub for visually impaired players and a Hampshire pan-disability league for U12s, U14s and adults which includes Portsmouth, Bournemouth and Eastleigh. The Foundation has undergone such rapid expansion that their priorities have now switched to consolidation and self-improvement. Last year they employed their first Workforce Development Officer and Coaching and Training Support Officer to ensure staff are supported and trained. They have also greatly expanded their use of data by hiring an Impact and Evaluation Officer. “We’re at a point now where we’re saying ‘let’s get better at what we do’,” said Greg. “We used data in the past because we had to, but we’re now using it for our own purposes; proving our worth, deciding where we go next and proving our KPIs to the community. It has changed our world, using data and evidence to show what we’re doing, what we’re not doing and the precise impact we’re having on people.